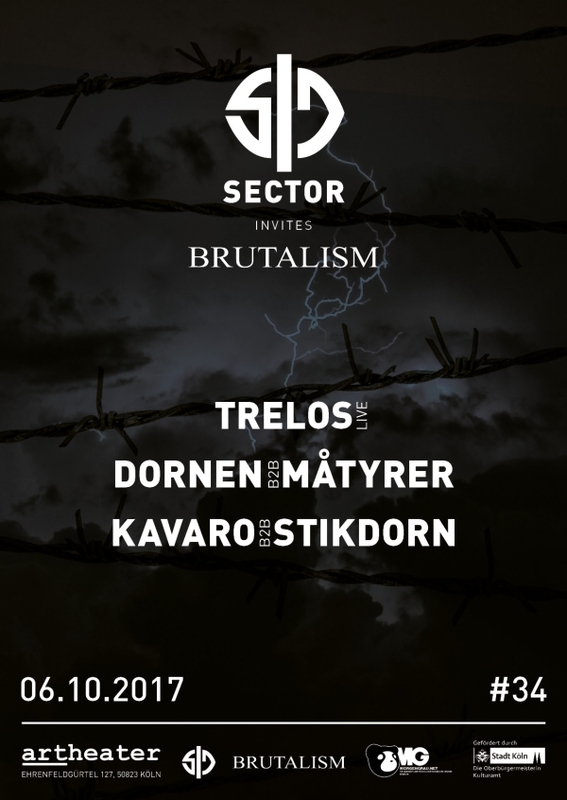 Sector invites Brutalism – 06.10.2017 Artheater CGN. After their invitation last July and an awesome party now we invited our friends from Brutalism Cologne for another cooperation on 06.10.2017 at Artheater CGN. Trelos will play again a live set and the resident djs Mátyrer, Dornen, Kavaro and Stikdorn will play a back 2 back-special. 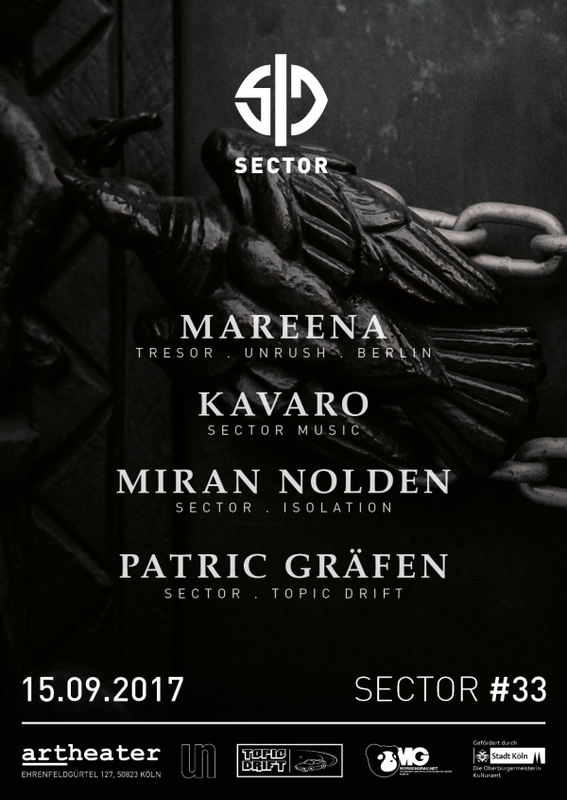 Sector #33 with Mareena – Tresor Berlin 15.09.2017. For Sector #33 at Artheater CGN we invited Mareena – Resident DJ at Tresor Berlin and host of the Unrush podcast series. Beside her our Sector Residents Kavaro, Miran Nolden and Patric Gräfen will play.